- There is a "Gemalto SGP" sign at the top left of the card like this "Gemalto SGP - U10xxxxxx - 05/16"
1. 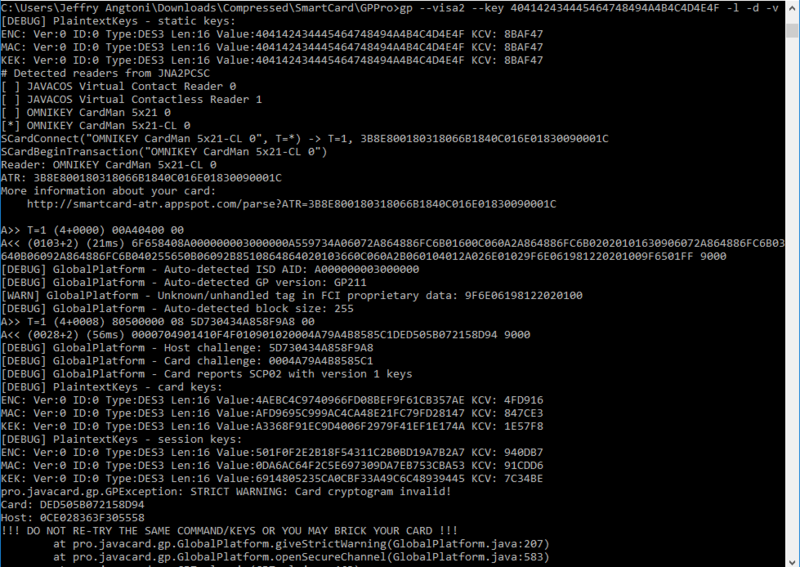 Is this card is same as Gemalto IDPrime PIV Card ? 2. 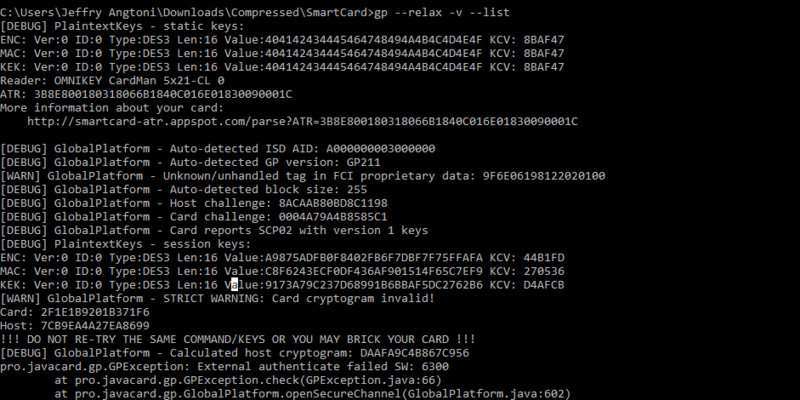 If same as Gemalto IDPrime PIV Card, why I always gets SW 6982 when doing secure channel protocol with GPPro shell command like this: gp.exe --visa2 --key 47454d5850524553534f53414d504c45 --list ? Where's the key 47454d5850524553534f53414d504c45 come from? Can you give us the APDUs communicate between the CARD and your tool? The key is not correct. You have to ask your card provider for the key. Warning: Don't try the card for times with incorrect keys, maybe your card will be terminated. We have to wait for the key. It will not secure if the key can be try out.